Since its creation in the 1970’s by SAP the adoption of an ERP system to run businesses of all types and size has been immense and unprecedented. An Enterprise resource planning (ERP), according to Wikipedia’s definition is a business management software—usually a suite of integrated applications—that a company can use to collect, store, manage and interpret data from many business activities. It can be found in virtual all the largest companies in the world helping them manger their day to day running off all aspects of the enterprise. As ERP systems have developed the cost of the software system has lowered making it a realistic and affordable software solution for SME’s. 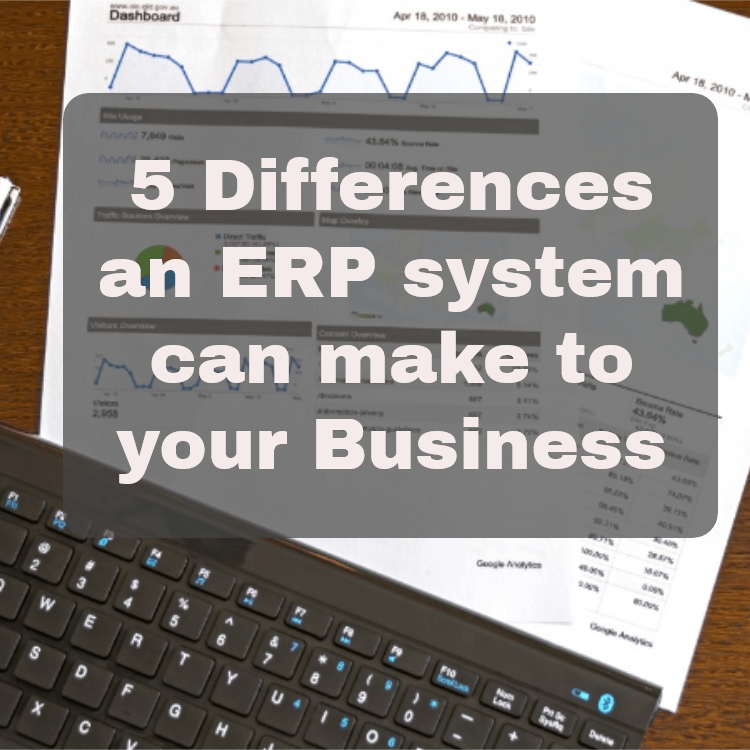 Here are a few key differences an ERP system can make to the day to day running of your company or organisation. In the modern business environment having a software system that allows you to integrate and manage all your business functions can give you a competitive advantage by collecting, storing and interpreting data from multiple business activities. Now you can integrate your accounts with stock and your sales and marketing with distribution. No longer are these separate departments isolated from each other. With an ERP they all use the same database. When implemented, the ERP System brings together information from across the organization and makes it accessible through a single software platform. This gives you an overview of your business as a whole allowing you make informed business decisions based on accurate information. Using an ERP system can also give you the ability to create customizable reports. An ERP system can make reporting on any aspect of your business easier and can be customised to show you the information you need when you need it. With a fully integrated ERP system you can empower your sales people to provide higher customer service. Sales and customer service people can interact with customers better and improve relationships with them, through faster, more accurate access to customers’ information and history. With an integrated software system you can have access to real time information on any aspect of your business. This unified and single approach can give your business intelligence functionalities that can give an insight into your business process and can quickly highlight problem areas much quicker.